This Royal Shakespeare Company (RSC) production of A Christmas Carol proved so popular last year following its debut that it's been brought back for the second festive season in a row. 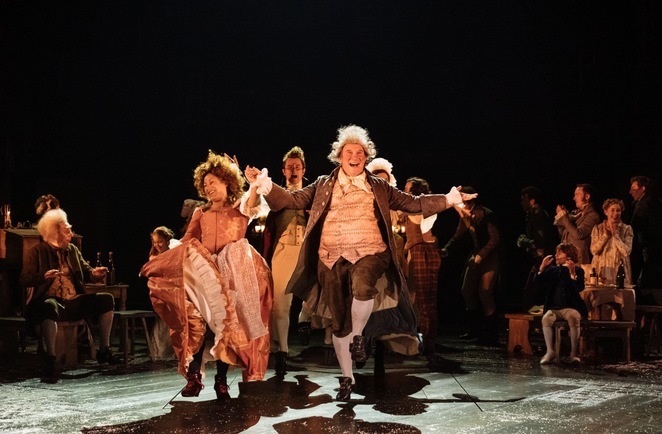 This time around there's more special effects, songs and a new actor playing Scrooge in the form of Aden Gillett for the performances at The Royal Shakespeare Theatre in Stratford upon Avon until 20 January 2019. 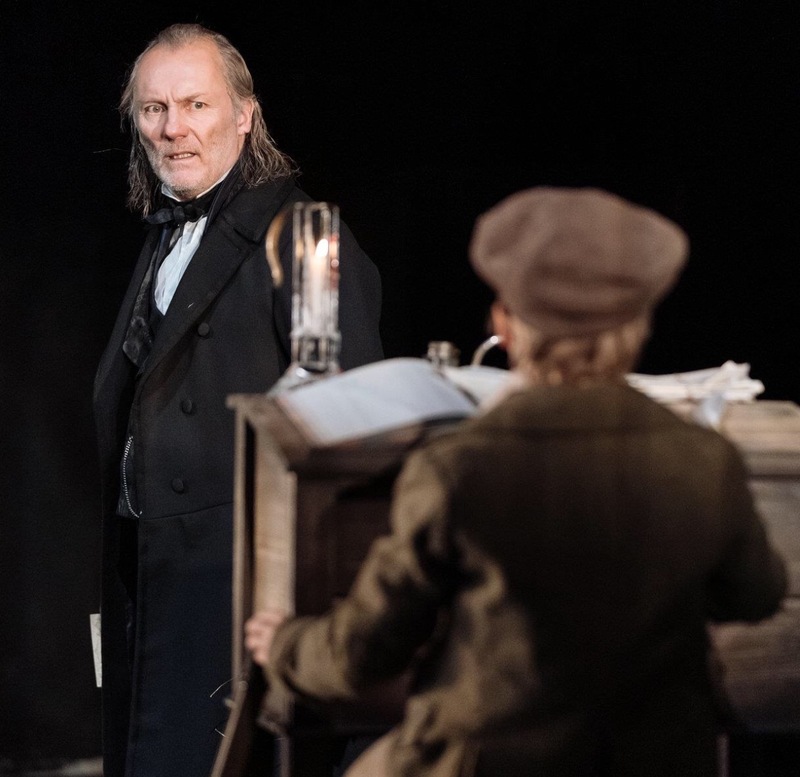 Adapted to stage by David Edgar, I was totally enchanted by A Christmas Carol last year when Phil Davis was perfectly cast as Ebenezer Scrooge. Its blend of comedy, drama and a hard-hitting theme of social injustice gave it a moral compass. So would it have the same dazzling effect after its recent tweaks? There are obviously more special effects in this latest production with more expense spared on refining apparitions and a flying carpet, plus there's a song involving fishermen too. I'm not sure they are really necessary as the essence of what was so good about this production last year was the powerful theme of social injustice and relationships between the characters. Aden Gillett, like Davis, is a well-known face from film, television and theatre from House of Elliott to The Crown and The Borrowers. He brings out a slightly more charming side to Ebenezer Scrooge than Davis' grouchy yet playful version. It all helps to create a new take for this year along with updated lines that include jokes about Donald Trump. 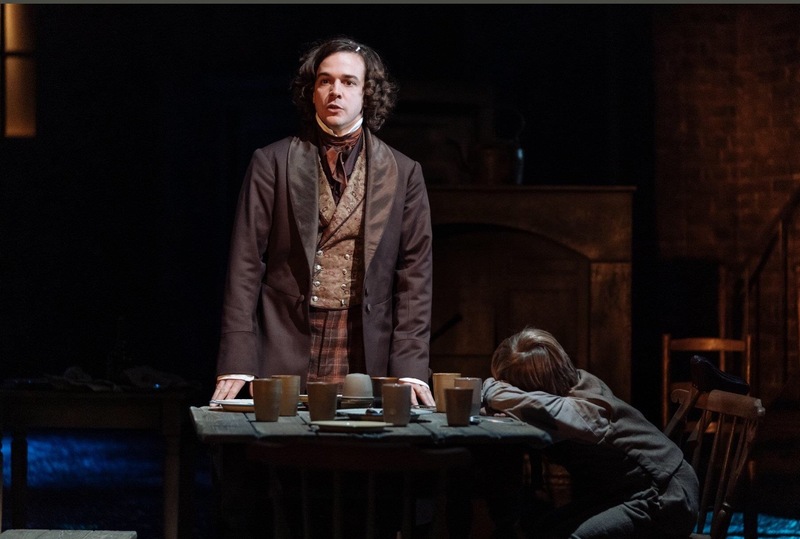 This isn't just all about Scrooge though as, cleverly, at the heart of this production adapted to stage by David Edgar isn't just the usual characters but the author, Charles Dickens, too. The one-time campaigning journalist appears with his editor as he struggles to write this famous story, arguing that he wants it to be about child poverty and social injustice. As the story takes form in his mind, he becomes a narrator to the piece. Joseph Timms plays a young Dickens with plenty of passion and his relationship with his editor provides much of the comedy in this multi-dimensional play. There's plenty of symbolism around the victims of the industrial revolution but it comes to the fore mostly during the Cratchit family meals. These are loaded with solemn insights into prospects for young people in the factories. Despite the poverty themes, there is much to make you feel festive, particularly the heartfelt scene from the past when Scrooge's former boss Mr Fezziwig hosts a Christmas party. It's traditional yet laced with modern comedy, like guests with names updated for current audiences - Mr Tinder, Mr Uber and Mrs Snapchat. A rousing chorus of song and dancing on stage spreads goodwill and sentiment throughout the theatre. It's moments like this that make this A Christmas Carol stand out, not the special effects. Another slight change is that the ghosts accompanying Scrooge seemed to have been toned down since last year's production and aren't as edgy. Last year, Vivien Parry was memorable as the Ghost of Christmas Past with a touchy-feely counsellor air about her that brought a lot of laughs to her scenes. This year's equivalent in comparison was much blander. Although Danielle Henry does well as a Northern quirky Christmas Present with gluttonous tendencies. Although this is still a fine production, I found last year's production more powerful and well balanced.